New! 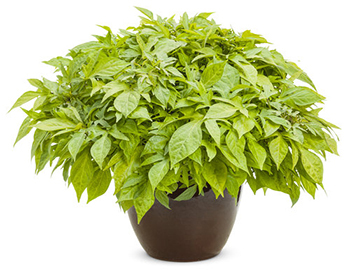 This well-behaved sweet potato vine won’t overrun its neighbors in container recipes and keeps its bright kiwi green color all season, even in full, hot sun. New! 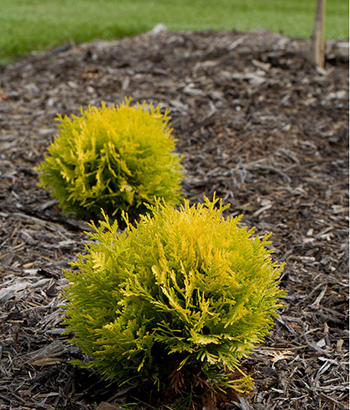 Thriving in both sun and shade, this plant forms a large clump of pineapple-scented, yellow to chartreuse foliage. 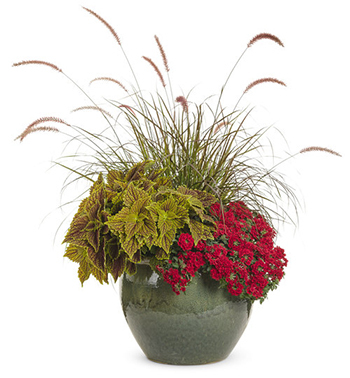 Perfect for large containers and landscapes. New! Add some WOW! 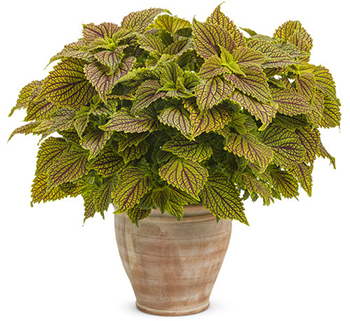 power to your containers or landscape with this amazing coleus. 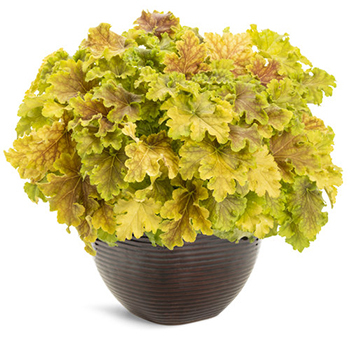 It grows quickly to form a large, bushy clump of fantastic foliage. 2019 Annual of the Year! 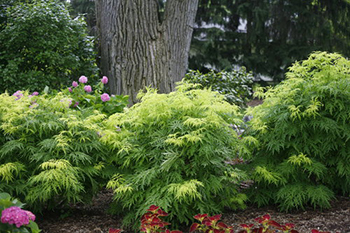 Easy, versatile and fun are three reasons you'll want to grow Lemon Coral. 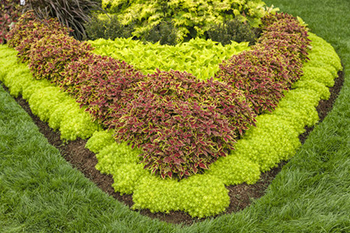 This spiky-yet-soft succulent forms a thick carpet of beautifully textured, glowing chartreuse color. New! 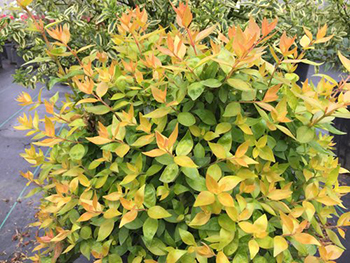 Watch this pretty perennial as it transforms from yellow with splashes of red in the spring to granny smith apple green in summer. 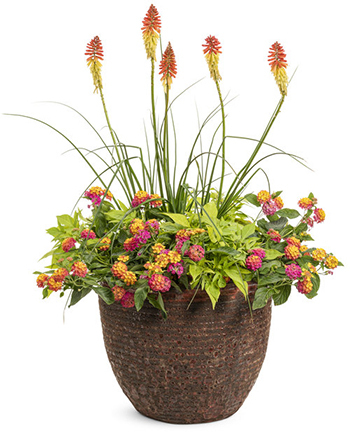 Great in containers and at the border’s edge. New! 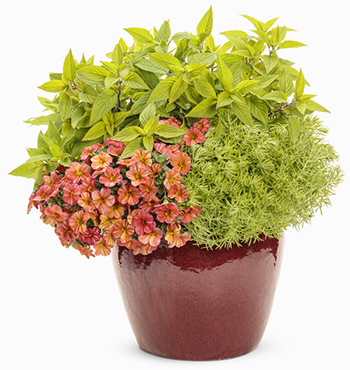 This is the most colorful abelia we’ve ever seen. 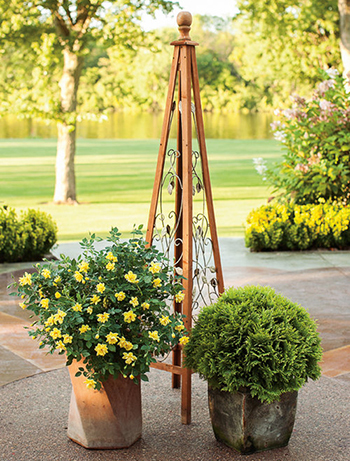 Flashes of bright marmalade orange and gold foliage light up the garden, topped with sweetly fragrant blossoms all summer. 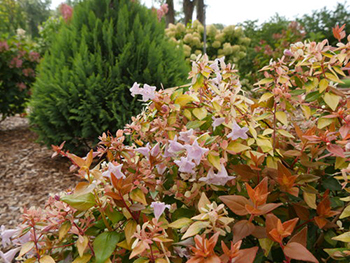 This award-winning shrub is a must-have for adding bright color and lacy texture to your low maintenance, deer resistant landscape. 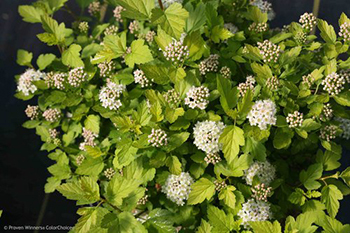 White flowers appear in early spring. A cornucopia of color all season! 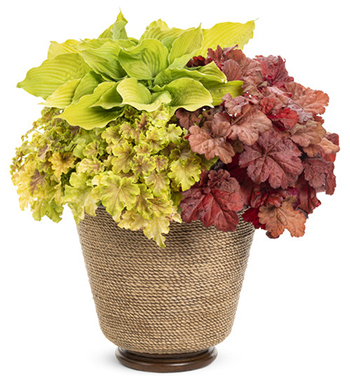 The show starts with candy apple red foliage in spring, transitioning through shades of yellow with orange accents. Dark purple flowers pop in late spring/early summer. 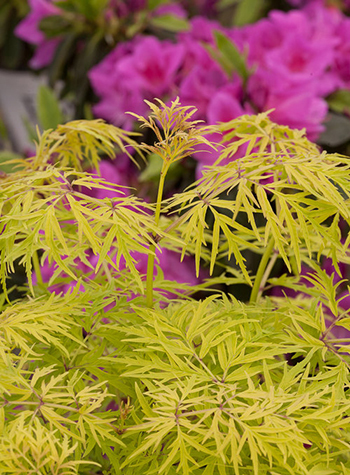 Small than most ninebarks, this one emerges brilliant yellow with white flowers in spring. 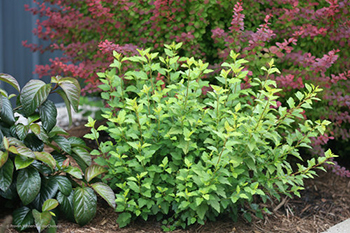 It’s disease resistant and easy to grow as a foundation plant or in borders. 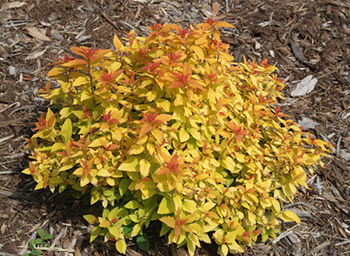 One of our most popular shrubs! 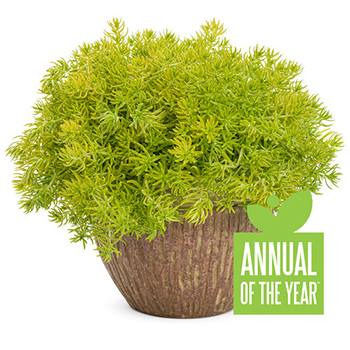 This cute dwarf evergreen forms a petite sphere of cheerful yellow foliage that keeps its color all year and never needs pruning. Love the color chartreuse and want to see more? 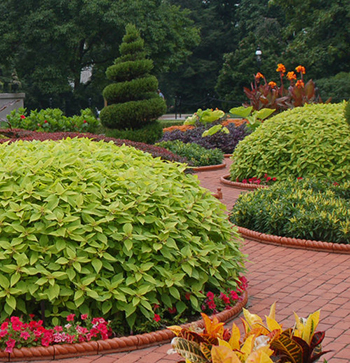 Learn how to design with chartreuse in the garden in this article. 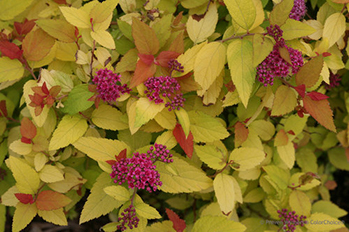 Explore our Pinterest board of chartreuse plants. Get to know ColorBlaze® Lime Time™ in this short video.